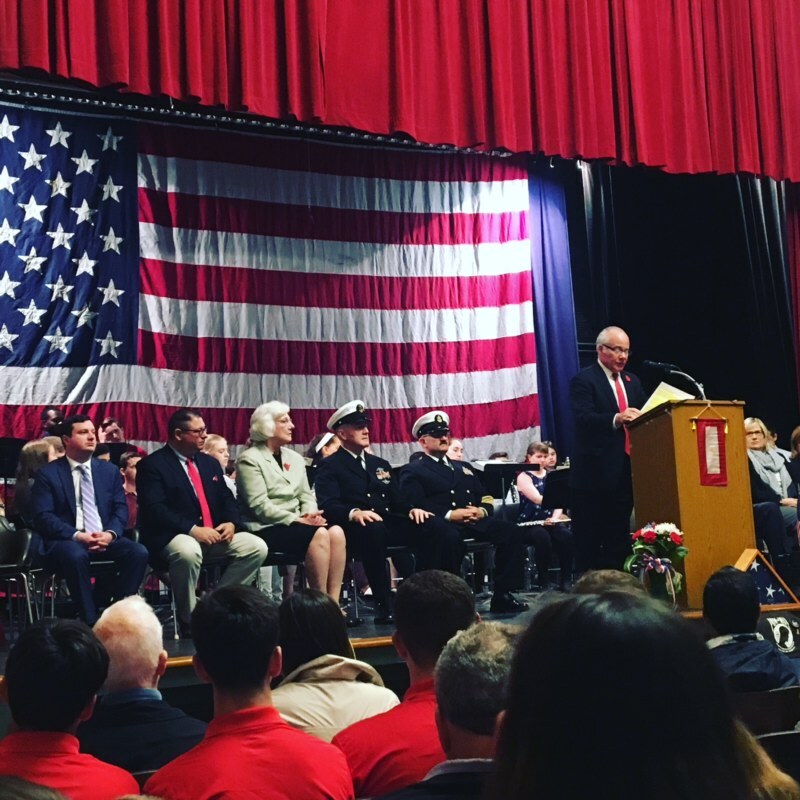 Hemenway Trust Company Managing Director and Hingham Town Moderator, Michael J. Puzo, welcomed over 300 Hingham citizens, including veterans and their families, to the Hingham Memorial Day Ceremony on May 28, 2018. The ceremony was hosted by the Town of Hingham Department of Veterans’ Services and the Hingham Veterans Council. "We gather today, as we rightly do each year, to honor those who have given their lives to preserve our freedom and our very way of life. To pay tribute to those who have died in war, so that we may live in peace. Our nation was founded by men and women ready to risk all that they had and all that they knew for something that lay beyond...for freedom and opportunity in a new land. Once secured, the challenge of preserving and defending these sacred rights has been taken up again and again by fellow citizens willing to sacrifice their personal freedom and, all too often, their very lives, for others and for country. In his writing, the contemporary theologian Robert Barron reminds us that love is "willing the good of the other." This requires that one place the good of the other ahead of one's own interests and one's own good. In fact, it is the need to recognize publicly that commitment to love — of willing the good of the other to the point of laying down one's life for a friend — that compels us to be present today. In gathering today, we do so on the 150th anniversary of the first Memorial Day — then known as Decoration Day — and, in doing so, we heed the words of General John Logan in 1868 in his General Order establishing this day as one of remembrance — "If other eyes grow dull and other hands slack, and other hearts cold in the solemn trust, ours shall keep it well, so long as the light and warmth of life remain in us."